Posted: August 30, 2016 in Sports Racers, Who,What,Where & When...? 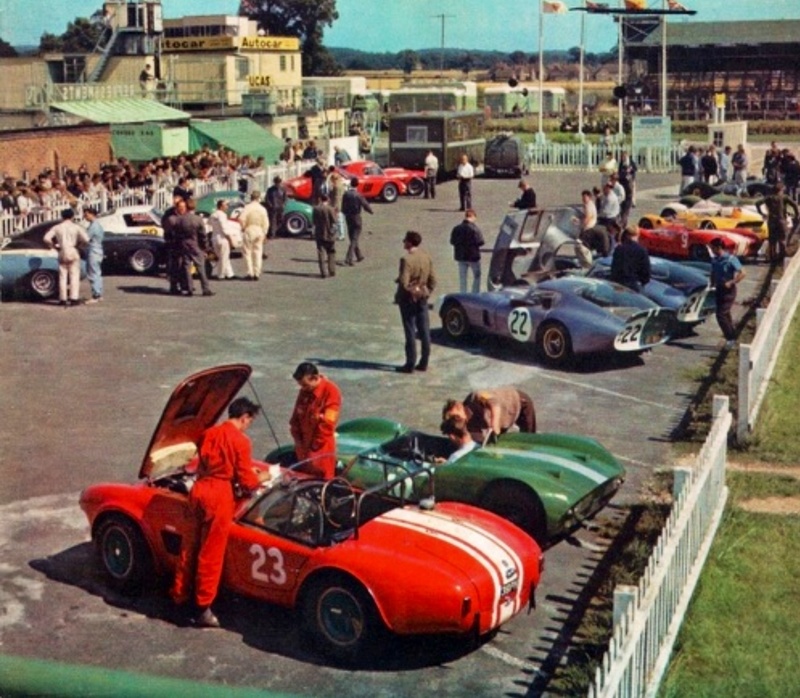 This group of cars indicative of the quality of the field, Hill won the race of changing fortunes from David Piper’s Ferrari 250LM and Dan Gurney’s Shelby Cobra Daytona Coupe. 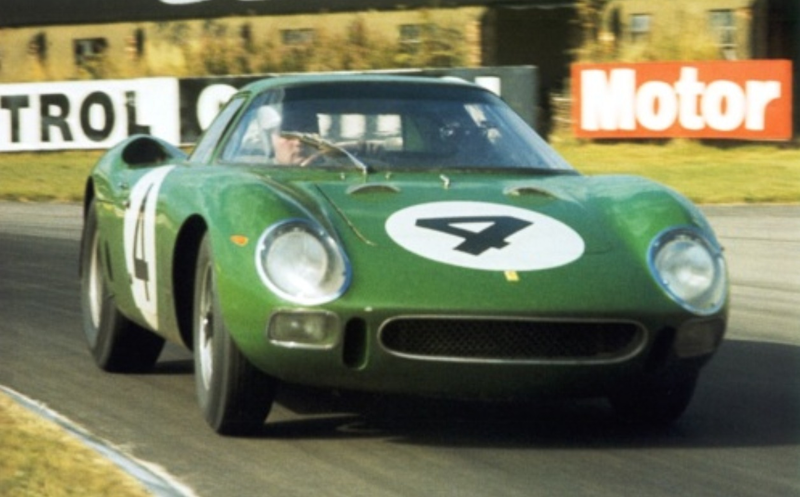 The entry drawcards were GeePee drivers Bruce McLaren, Jim Clark and Graham Hill in outright contenders; ex-Penske ‘Zerex Spl’ Cooper Olds, works Lotus 30 Ford and Maranello Concessionaires Ferrari 330P respectively. 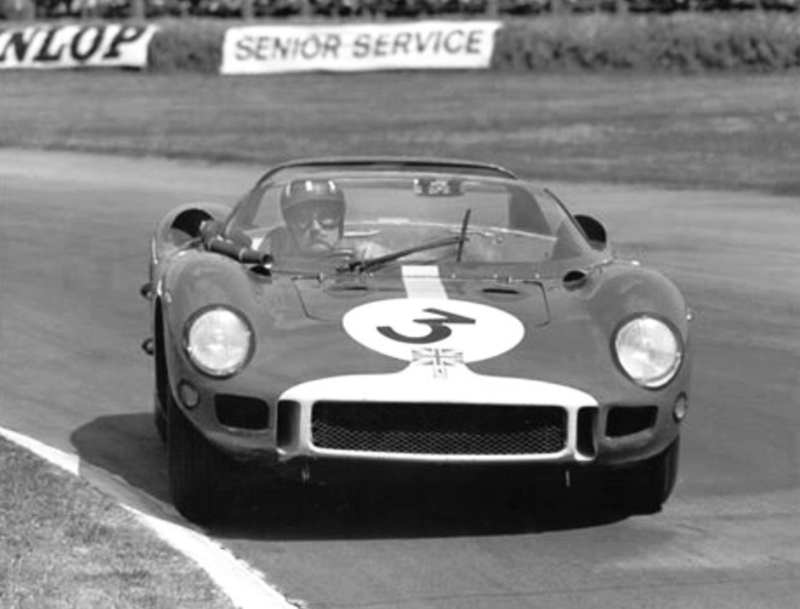 Other contenders were David Piper’s Ferrari 250LM and 5 AC Shelby Cobra’s driven by Dan Gurney, Phil Hill, Jack Sears, Bob Olthoff and Roy Salvadori. Denny Hulme and Hugh Dibley raced Brabham BT8 Climaxes. 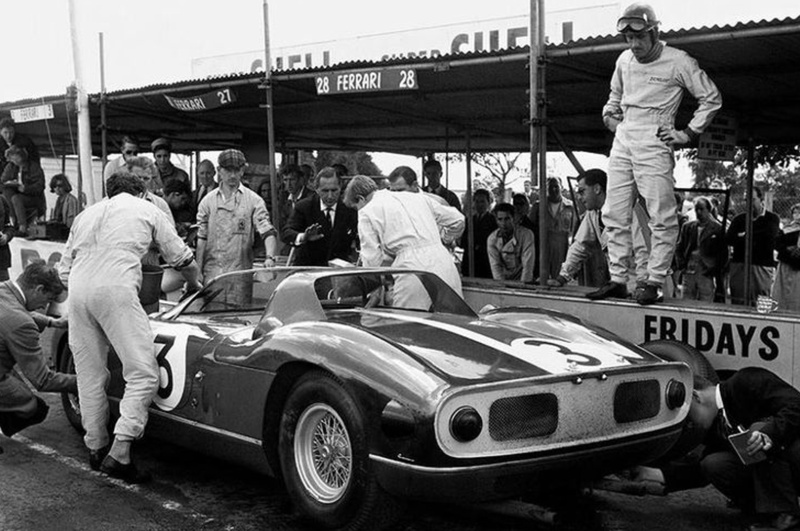 John Surtees, Richie Ginther, Innes Ireland and Tony Maggs Ferrari GTO’s. 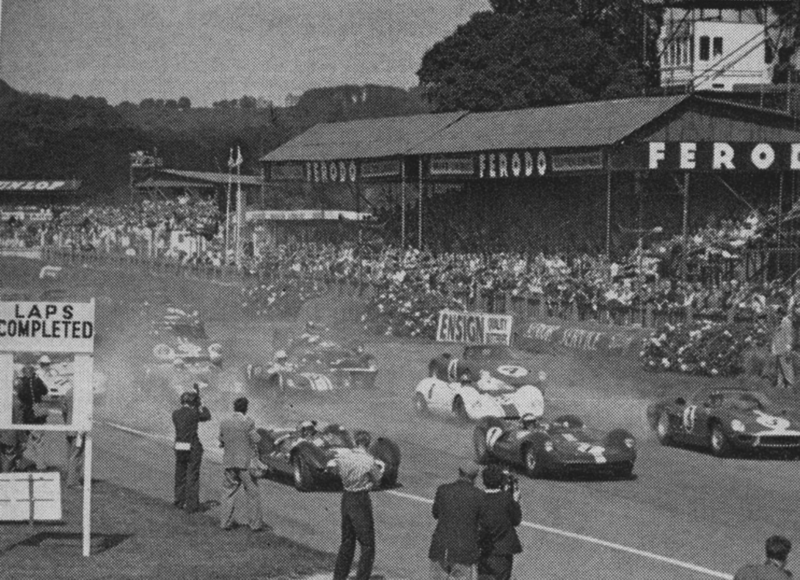 Most of the drivers electing to race the 132 miles solo, it was a typically spectacular international grid of sporties of the day. Graham Hill ponders the speed of his Maranello Concessionaires entered 4litre Ferrari 330P chassis ‘0818’ during practice. 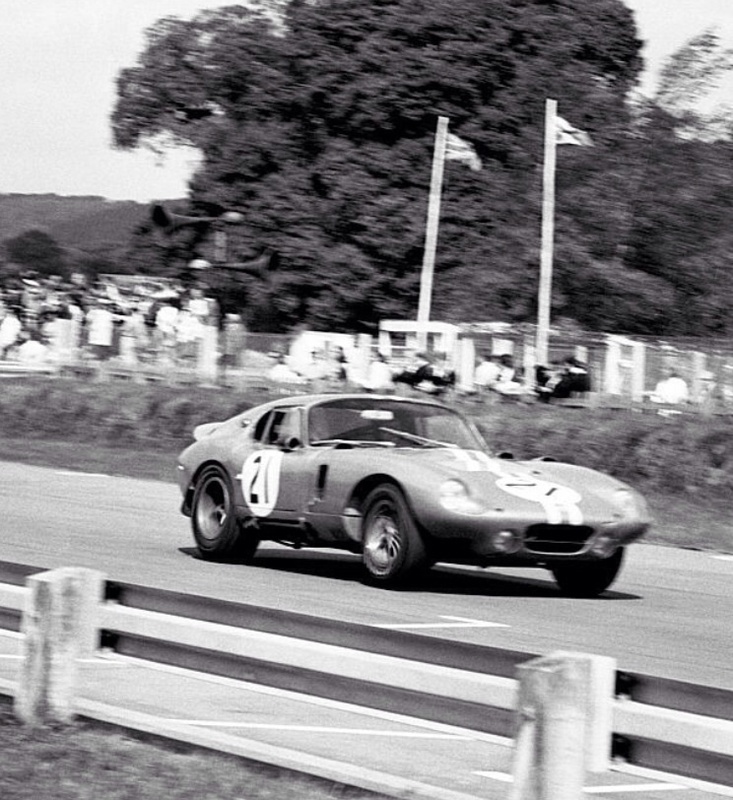 It may not have been the quickest car in the race but it had the endurance the Group 7 ‘sprinters’ lacked. Bruce popped the ‘Zerex’ on pole from Clark, Hill and Dibley. Dan was the quickest of the GT’s in his big, booming Cobra. From the start McLaren led from a ‘very busy’ Clark, the Lotus much more of a handful than Bruce’s ‘mongrel’ Cooper T51 based special! 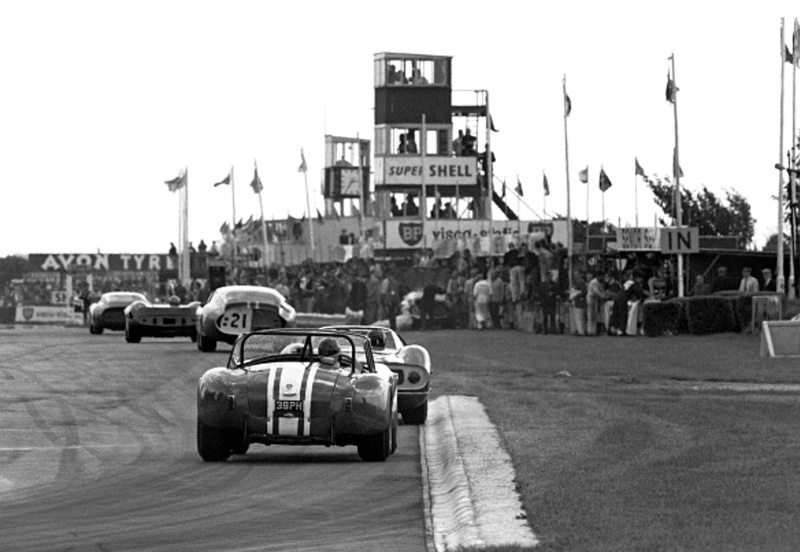 Denny was 3rd in his nimble Brabham with Trevor Taylor’s Elva BMW in 4th. Bruce’ clutch failed to transmit the power of his ally Olds V8 and retired, the order was then Clark, Hulme, Taylor and Hill G. After 25 laps Piper and Salvadori were a lap back such was the pace of the frontrunners. 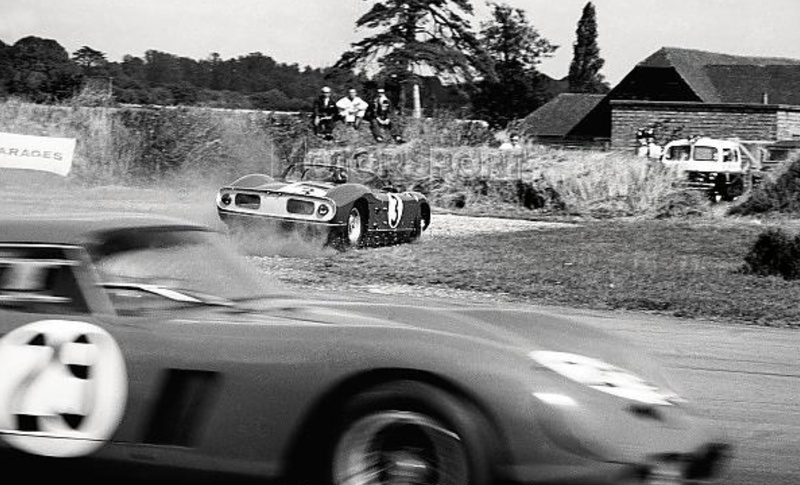 Graham Hill spun the Ferrari at Woodcote on lap 17, Tony Maggs whips past in David Pipers Ferrari GTO, the South African finished tenth. 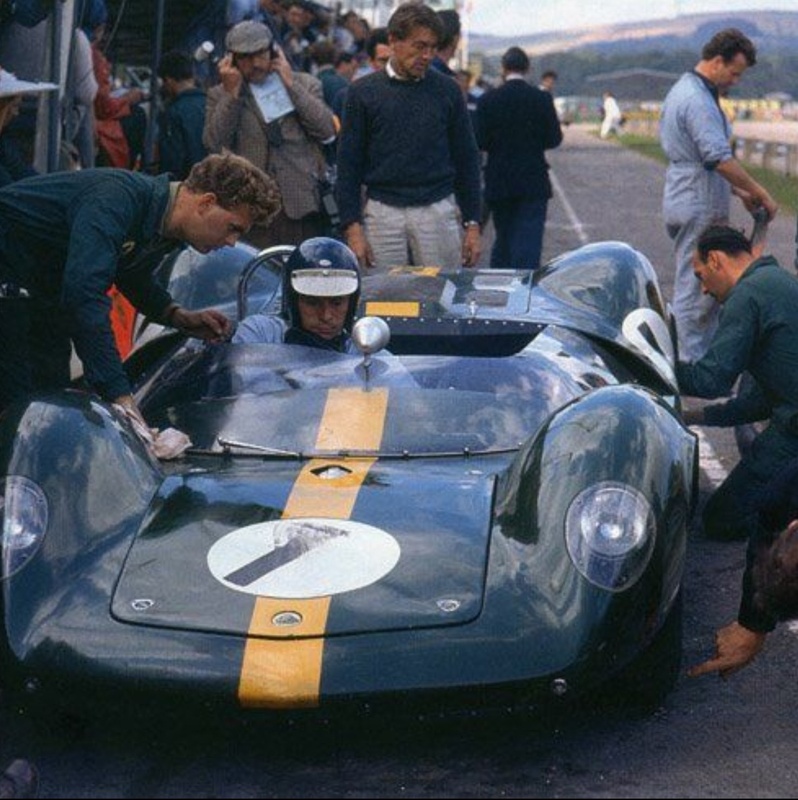 But it was not to be, Clark made a third pitstop when the car felt odd, the diagnosis a bottom wishbone locking ring had slackened off and was contacting a front wheel, so Graham Hill’s 330P Ferrari won from Piper’s 250LM, then came the AC Cobras of Gurney, Sears and Olthoff in coupe, sports and hardtop respectively! 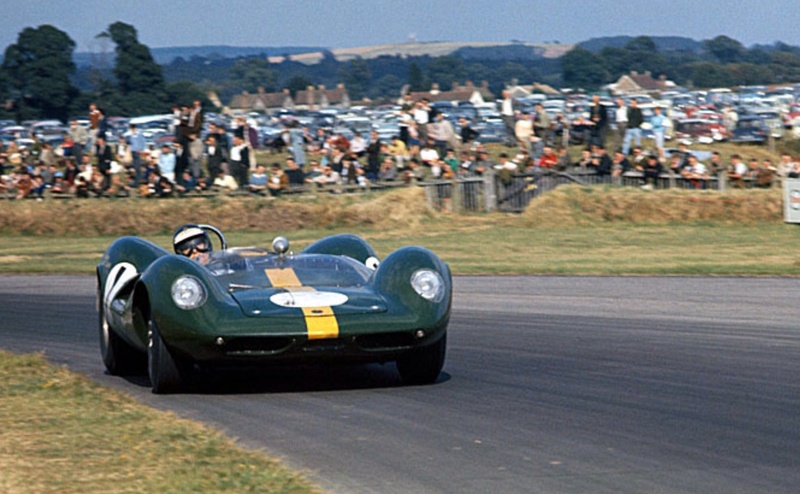 Hills average speed was 97.13mph and Bruce McLaren set a new sportscr car lap record of 1:23.8 in the ‘Zerex’ Cooper Olds before his retirement early in the race.